For the filling, soak noodles in warm water for 5 minutes to soften. Drain, then use scissors or a knife to cut noodles into short lengths. Use a mortar and pestle to pound the garlic, peppercorns and coriander root to a fine paste. Heat vegetable oil in a pan over medium heat. Add the garlic paste and cook for about a minute. Add the pork and cook until just cooked through. Then add the noodles, carrot, cabbage and fish sauce. Cook for about 3 minutes or until vegetables have softened. Taste and season with more fish sauce if needed. Set aside to cool completely. 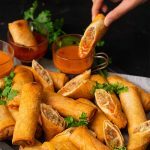 Make the spring roll glue, by mixing the flour and water together to form a thick paste. Place about a heaped tablespoon of filling onto a wrapper. Fold like an envelope and roll up, sealing with the spring roll glue. Repeat with remaining filling and wrappers. Heat enough vegetable oil in a saucepan for deep frying. 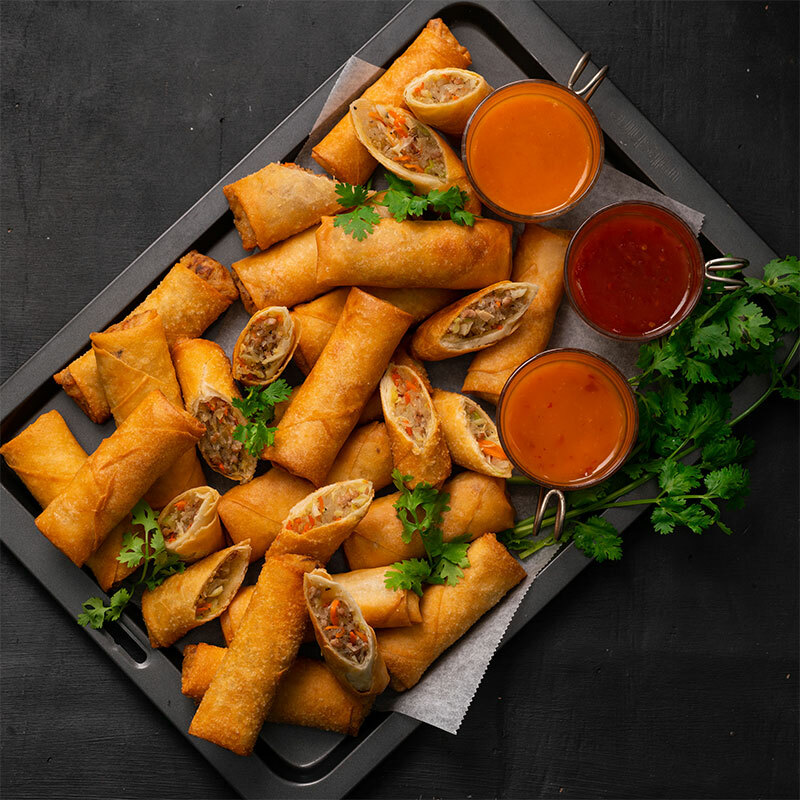 When the oil is hot, cook spring rolls in batches for 3-4 minutes or until golden brown. Remove and drain. 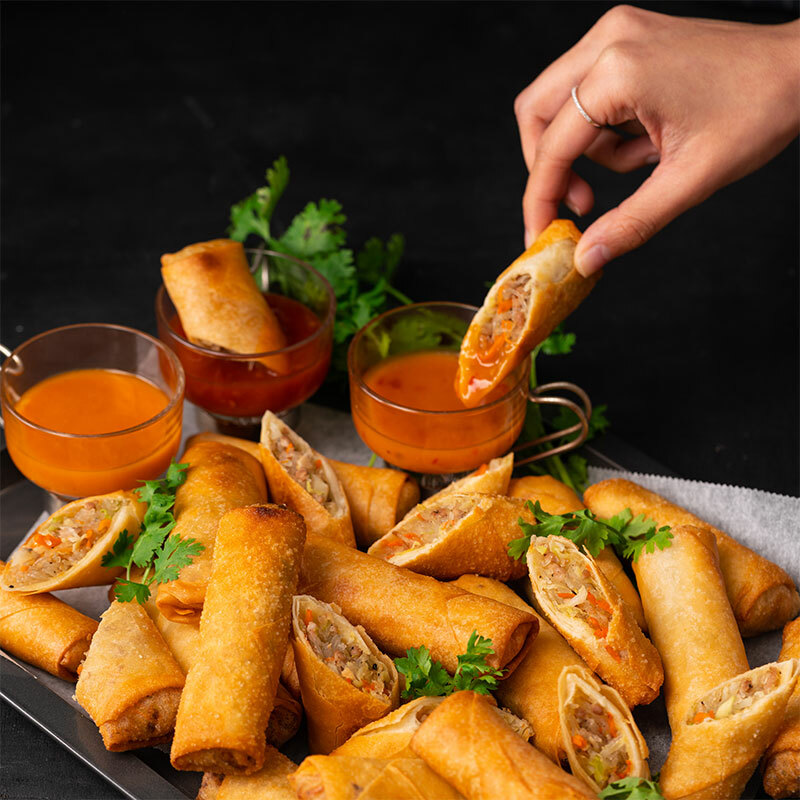 Serve with the dipping sauce.